Cynisca was a Spartan princess and athlete. 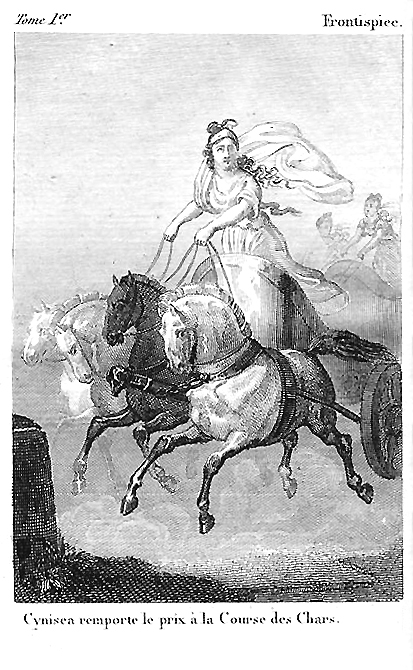 She competed in the Olympiads in the four-horse chariot races—as an owner and breeder of horses, not as a driver—and won in 396 and 392, becoming the first woman to win in the games. According to the Greek travel writer Pausanias (flourished C.E. 143–176), two monuments were erected in Olympia to commemorate Cynisca’s victories, one of which featured a statue of her.